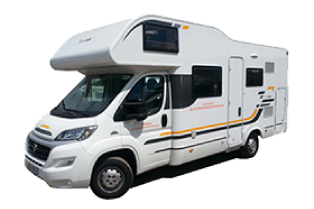 Pronto Motorhomes have a wide range of motorhomes and campervans available for hire in Wales. 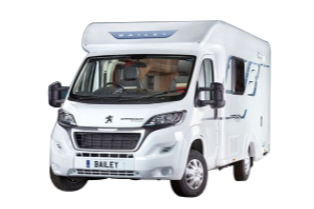 Whether you are looking for a 2 berth, 4 berth, 5 berth or 6 berth motorhome, we have vehicles that will suit your requirements. Wales is the perfect destination for a campervan holiday. We have everything from stunning scenery, mountains and coastlines, to award winning beaches and attractions. Snowdonia and mid wales has plenty to offer, you can scale the highest peak in wales and enjoy a beverage surrounded by breath-taking scenery. If you are looking for the perfect family stop on your campervan trip to Wales then Pembrokeshire, with its beaches and family attractions, is a must. 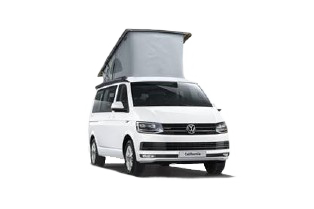 Our top spec VW Highline T6 Kamper is a modern pop-top campervan that can sleep up to four adults. The top bunks being surprisingly spacious in addition to a clever interior to maximise space. This realy is one of the best campervans to hire for a family or couple, with all of the usual equipment you would expect from a motorhome. On board there is a fresh water supply, leisure battery, fridge freezer, sink and coooker. For those looking for a true adventure, but are worried about the vehicle size of modern motorhomes, hiring a campervan VW Kamper is an obvious choice. If you are looking to be surrounded by beautiful scenery and plenty of hiking routes on your campervan holiday then you should look into our South Wales & Brecon Beacons holiday route. 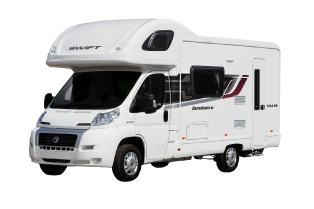 A Motorhome is similar to a campervan but offers far more space and superior facilities, making it the sensible choice for a “campervan holiday”. Don’t miss out! To find out if the motorhome you want is available please use our availability checker. Brand new for 2017 and based on the top spec VW Highline T6 Campervan, this modern pop-top “kampa” can sleep up to four adults.